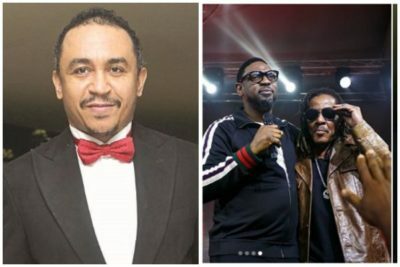 Following the reaction by Daddy Freeze to Majek Fashek’s performance at the COZA christmas carol, the singer’s manager has come out via an Instagram post, to reject Daddy Freeze’s notion that secular artistes should not be allowed to perform in religious centres. The singer’s manager stated that Majek Fashek’s music has spiritual contents, thereby justifying Majek Fashek’s performance at the COZA carol. He went on to threaten to beat up the leader of the #FreeTheSheeple movement, saying Daddy Freeze would be beaten up if he continues to mention Majek’s name on social media.